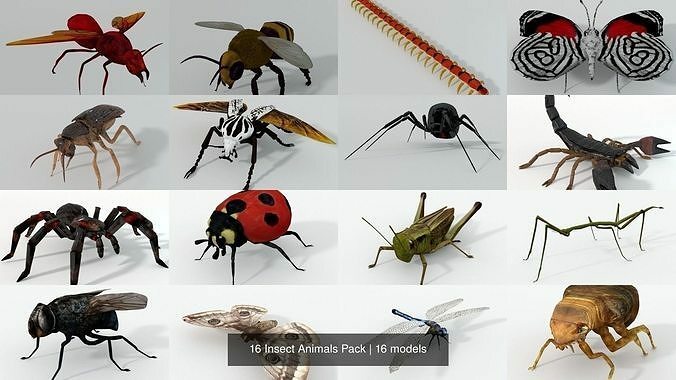 16 Insect Animals Models Low Poly package/collection. Perfect for games, scenes or renders.All textures are UV mapped for easy editing. (2048x2048 pixels). All formats have been tested and work correctly. Some files may need textures adjusted or added depending on the program there imported into.